Back in the late 60’s early 70’s I used to write songs. Some I know were ok as I had an offer to have them published, but what with one thing or another it never happened. I think I was more interested in other bloke-type pursuits, drinking, playing football (soccer), not to mention the ladies! So as time went on I just sort of forgot about them and put the guitar away somewhere and there it stayed for nearly 40 years. Actually there is one exception to that – when I was in Florida for my first extended stay in 2003, I got hold of a guitar one day and wrote ‘The Lady’ as homage to Mary who of course had appeared to me four years earlier and started me on the spiritual path. And I was staying in the same room where she had appeared to me, so I am guessing I was inspired. A couple of years back Dolly’s prospective son-in-law expressed an interest in learning the guitar and I was asked if I’d show him some chords, so for the first time in many years I started to play again, albeit just showing John the rudiments, although I did play and sing a couple of tunes on Christmas day 2011. Then about a year ago, February 2012 ish I woke up and to my surprise one of my old songs was in my head, well to be precise a song that I had never got too far with, a chorus line and maybe a line or two of verse but that was it. That song was This Was My Life. Then even more to my surprise over the next short period, maybe two weeks or so all of the old ones started to come back to me, and what really shocked me was that I remembered them all, well all the tunes/chords and most of the words. I found myself getting quite enthusiastic about these old ‘friends’ and I played some to Dolly who said she thought they were pretty good. (Believe me if they weren’t she would have told me). So I suggested I go to a local recording studio and get some of them down onto CD professionally, complete with musical accompaniment and arrangements etc, and Dolly agreed it was a good idea. But before I did I knew I had to do something about This Was My Life, so armed with a cassette recorder which I bought from Amazon (I didn’t know they were still available) I set about completing this song. It is hard to explain, but my intuition told me the songs were important, even after all this time, so I was determined to finish this song. And finish it I did, in a couple of hours one afternoon. After that I booked the studio and proceeded to record the songs. This Was My Life – Started 40 years ago finished 2012. Maybe a little autobiographical insofar as I used to drink far too much, but not particularly a personal song. It was this song that I emailed to EJ Holly that auspicious day last year and became the first step to not only my cd but also my coming to Cumberland. The Lady – Written 2003. My tribute to the beautiful Mary who changed my life. My Own Sweet Way – Totally from 40 years ago. This was one that I had an offer to be published back then. No deep meaning to the words. Certainly doesn’t describe me. The Answer – One of my absolute favourites, I really love the melody and chords. I was given the title, it just sort of came. Most of the tune dates back 40 years, the words are 2012. I’m Leaving Now – Brand new to 2012. Started out as a gentle ballad about an Irish man yearning for his homeland, ended up a bit of a rocker thanks to input from a friend who said it should have a thumping beat. Never In My Life – 40 years old. First song I ever completed. Words are by my sister Shirley. Again one of the ones that would have been published originally. In Paradise – New last year. I had a little chord sequence I really liked and was looking for a way to get it in a song, and this is how it turned out. The words are about my favourite relaxing place on the planet. For You – New last year. One afternoon I had an idea I would like to write a really romantic song, the sort that a guy might buy for his girl because he couldn’t put into words how he felt about her. This was the result. Will Morning Ever Come – One of the originals. It wasn’t written through any personal experience by the way. Hopi Boy – Quite interesting the way this one came about. I had a tune from about 1972 which I had provisionally titled Country Girl. (It was going to be about a young lady I fell for who lived out in the countryside), but had never got further than a title although the tune was complete. One morning last year I thought I’d work on it and as I got the guitar out I got a real strong piece of intuition that I should rename it Hopi Boy. So I decided I would get Dan Evehema’s medicine pouch and bolo tie, put them on and see what happened – and the words came in about 20 minutes. My friend was making a movie about the Hopi and I half hoped she would put the song in it; to date she hasn’t said anything, but I would love it if she did include it. So that covers the songs on the cd. However, last year I wrote another dozen at least, which I hope to record sooner rather than later, I found myself getting very inspired and some of them came very quickly. But the song that most people consider is my best is the one which came quickest of all, God Be With You. One afternoon last Summer I was sitting with the guitar looking for inspiration and absolutely nothing was forthcoming, normally I sit strumming away and some sort of tune turns up, whether it’s any good or not is debatable but something usually appears, but not this day. I have two songwriting Muses, these two ‘ladies’ have appeared many times during healings (not to me I may add, but to the recipients of the healings) and so I ask them for help with songs – they are Mary (of course) and St Therese of Lisieux the little saint who has played quite a part in my spiritual life. That afternoon I asked them for their help, saying that if they wanted me to write a song they needed to give me some inspiration. Well, inside five minutes I found myself playing the same little chord sequence over and over again and singing a catchy little tune – but what really surprised me were the words I found myself singing, it was a phrase I have never used in my life as far as I know, and also is one I can’t honestly say I had heard for years – God Be With You. And then the entire song was done inside twenty minutes, words and tune. I have to be honest and say that I knew something special was going on – and since then that has been confirmed lots of times as it seems that it has an effect on everyone who hears it. We’re also being joined by EJ Holly of EJ Holly Voiceovers, who was instrumental in helping Robert get his music recorded. She is also the coordinator of the 2nd Annual Blue Star Holistic Expo and will be giving us an update on the progress of this year’s Expo. As an award-winning radio broadcaster, producer, and voice artist, Ella’s voice is heard around the world. She has been featured in national television and radio commercials, as well as audio books and website presentations. 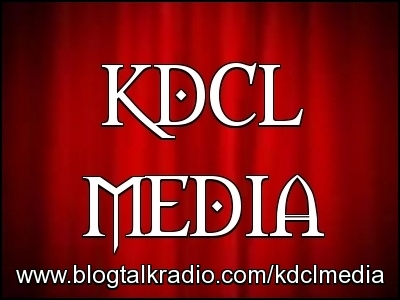 She also hosts interview shows for the American Coaching Academy, Parenting HQ.com and the Children’s Ministry Academy, and can be heard as the voice of the Dwelling Place Ministry radio show with Rev. Al Pittman. She has served on the Board of Directors of the Miss Allegany County Pageant, and is active in the pageant circuit, having judged numerous pageants throughout Maryland, New York, Pennsylvania, West Virginia, and Virginia. During her tenure as a professional singer, Ella garnered top ten hits in Germany, The Netherlands and Australia. Ella is also an author and stays in demand as a public speaking coach and media consultant. 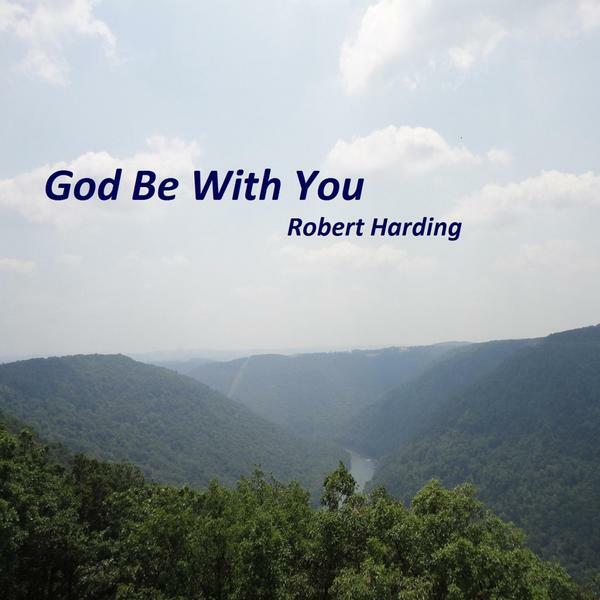 Last November, she organized the Blue Star Holistic Expo, and has produced Robert Harding’s latest single, God Be With You.